The government shutdown could cost Melanie Rhodes her job. After nearly a year of unemployment, Rhodes finally landed a job as a school bus driver in Bridgeport, Conn. But now that the shutdown has closed her child's preschool, she may have to give that job up. "It took me a long time to find a job," said Rhodes, who was also homeless for a time before having her son almost four years ago. "But if the government shutdown continues, I'm going to have to stay home again." Rhodes' son Malachi is one of nearly a million children nationwide who attend Head Start -- the federally funded preschool program designed to give children from poor families early access to education, nutrition and health care. 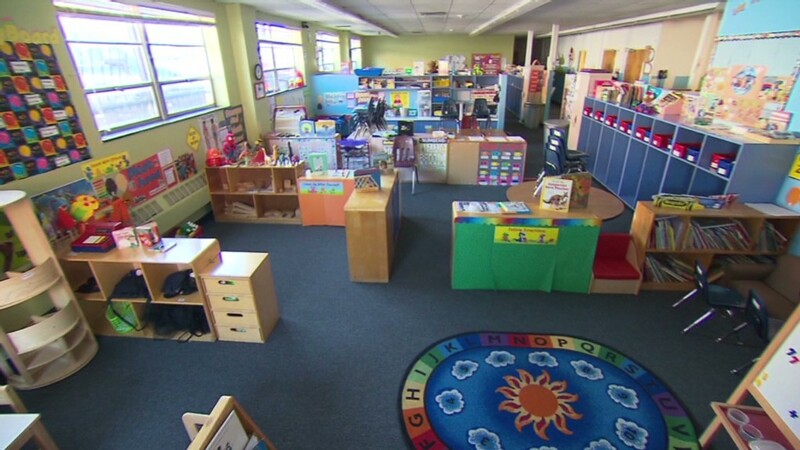 As of Thursday, over 5,000 kids under the age of five in 11 states have been shut out of their preschools -- victims of the political impasse that left the schools unfunded. All told, there are nearly 19,000 students in schools set to receive funding in October, according to Sally Aman, a spokeswoman for the National Head Start Association. This is bad for the kids, and also for the parents who must now scramble to find childcare, or risk losing their jobs. "What these parents aren't able to do is go to work, go to school," said Aman. "It's really a devastating ripple effect." That includes parents like Ashely Rodriguez. A single mother of three, Rodriguez recently left a domestic violence shelter and is currently living in transitional housing for single mothers. She enrolled in a three-year educational training program to get a new start in life, and said Head Start gives her the freedom to attend school during the day. But the program her children attend in Brooksville, Florida will run out money Friday. "I'm on cash assistance, I'm going to have to put them in daycare and that's going to be all my cash assistance gone," she told CNN, on the verge of tears. "I only get that once a month." Her children receive three meals a day during the week and a weekend backpack filled with food from Head Start. She said It will be difficult for her family once the program closes. "We're the ones that are going to suffer, our children are going to be the ones that are going to be without food, without education," she said. Rhodes, whose son is autistic, had strong words for Washington. "Think about us, think about the single parents that need daycare -- they could lose their jobs," she said. "We really need them to get it together."